Maybe like you the early warmth has given me an itch that only wetting a fishing line will scratch. I've even sorted my tackle box in anticipation. 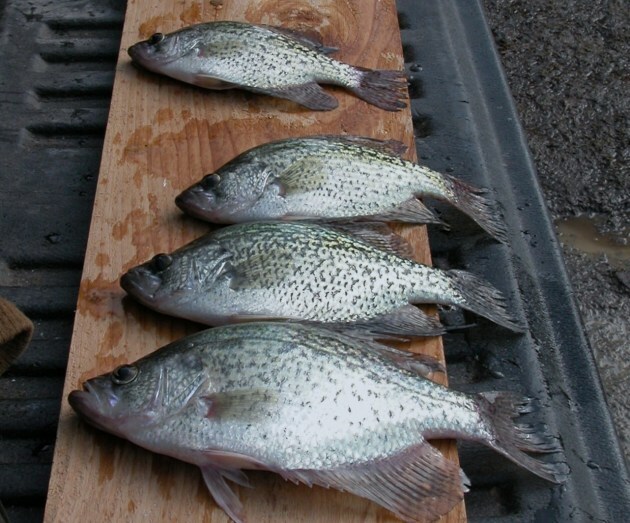 But while I know quite a bit about where to find walleyes I'm not well-informed on crappies. The descriptor dumb comes to mind. So I did what any rookie might do. I communicated with a few pro's. I started with a guy who hunts deer on my place. More succinctly, he kills deer on my place. By bow, by shotgun, by black powder. He also knows where early-spring panfish lurk. Sure enough he'd just bucketed a bunch of slabs. "Tell me where to go," I said. "Oh, you know, the backwaters of the Mississippi," he answered. Checking my map I see there are probably 200 miles of river backwaters between here and the Iowa border if you count both sides of the Mississippi. Which one is holding the crappies? He ain't sayin'. Undaunted, I sent an email to a St. Croix River pro guide. This is a friend who owes me. "Where can I find some crappies?" I type innocently into the computer. That was 10 days ago. Still waiting for a return email. So I'm thinking maybe I need to ask for information face-to-face with an informed angler. So I drive across the St. Croix and confront a friend who knows the river pretty well. "Where can I find some crappies on the Croix?" says I. "I don't know," says he. Now, I know he knows. And he knows I know he knows. But from the blank stare on his face I also know I'm not going to find out. In desperation I call my own son. This is a kid who was the beneficiary of a substantial investment in Camp Fish when he was a teenager. He truly knows fishing. Did I mention I'm his father? "Where can I find some crappies?" "Geez, dad, I don't know. They're tough." I hung up the phone, walked to the pole barn and kicked my tackle box. That seemed to help my itch. For now.